Although I have noticed a huge difference in my blog within the past year, I am wanting to do so many changes for my blog through out 2016 and learn new things. I have set many goals for 2016 and I hope to achieve all by the end of the year. I hardly ever stick to anything. So knowing that 2016 will be my 3rd year of blogging, it does make me happy and proud that I actually stuck to it. I have had a few odd weeks where I have been stuck and not motivated but I am still going and I hope my blog will just grow and grow now for the next few months and years. I honestly can not imagine my life without my blog. Buy a new camera This may or may not be possible for this year because we are expecting our third child but I hope to look around the shops for a decent camera. My one is good and I can't really fault it but I want a newer one that can take better quality photos. If you have any to recommend please do let me know. Be Organised I'm not a very organised person. But this year I have bought my first ever blogger journal and it has so much in it, along with blogging tips so I hope it can keep me motivated and organised through out the year. Write Weekly Pregnancy Updates I love reading pregnancy updates on other blogs and because I am expecting my third baby I am hoping to write weekly updates from 12 weeks onwards. I am not quite sure what kind of bump photos or theme I am going to take on yet but we will see. Discover New Blogs Although I read a lot of blogs per week, roughly over 100 blogs a week. I do want to try and discover new blogs. There are so many blogs out there, I know I am probably missing out on a lot of blogs I will probably love! Keep on Blogging I just have a feeling I may take a break from blogging later on in my pregnancy if I am anything like I was when I was pregnant with Elliw. I will most probably get Obstetric Cholestasis and loose a lot of sleep when the worst of it starts and I am really not looking forward to it. I am going to try my very best to carry on blogging to try and keep my mind off it. But hopefully, I will just carry on blogging no matter what. Say 'NO!' I really need to start saying NO. Before Christmas I found myself in a right pickle. I said yes to ALOT of items to review. I fell behind big time, I stressed out and then I fell behind even more. When I stress out I tend to just back out and then by the time I know it, a week or two has passed. I have nearly caught up now but I know for sure I will not be doing that again. Set Blogging Times I need to stop doing blog work at random times of the day. I am going to do a time sheet of when I work, need a break and have a day off. I do plan to have a day off on a Sunday every other week because Mia doesn't go to her Dads then. I think this will also get me more organised and it will be interesting to see how many hours a week I will work. Social Media I really need to work harder on my social media feeds. I manage to post daily on Instagram because I use it for my personal photos and not just for my Blog but I really need to start scheduling posts and tweets for Facebook and Twitter. I need to get the hang of Pinterest too. I will get there hopefully! 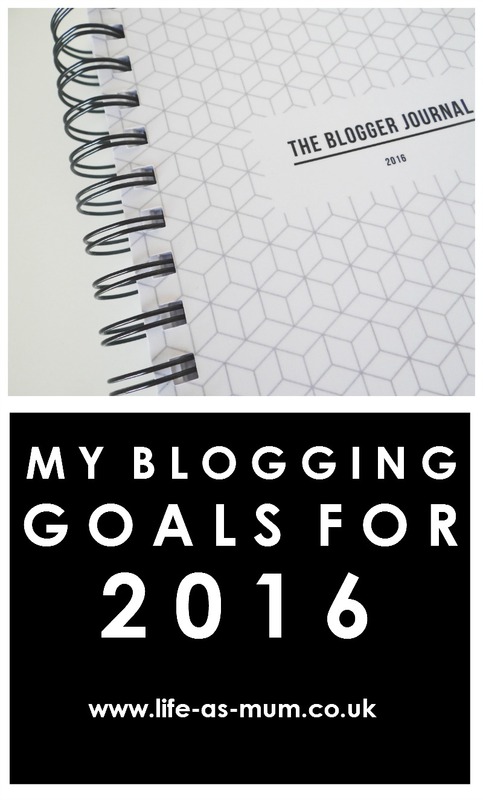 Do you have any blogging goals for 2016? Great goals and good luck achieving them but it's definitely doable. I wrote up my goals yesterday. My main goal this year is to write more and like you get organised about doing it! I think the group you put up on Facebook (Comment-Share-Support) is a fab idea :) Happy New Year! Dean of Little Steps. I do exactly the same as you when I get stressed and overwhelmed and end up more behind! I still have no idea how pinterest is supposed to help with blogs, especially if you don't use pictures, like I don't! I think I need to look at scheduling twitter and facebook too, and also think I should probably try and make my blogging times more specific, rather than doing bits at all times. I'm not even organised enough to come up with goals though, so you're more organised than me! All of these are great goals! I haven't set up an blogging goals for this year...I probably should, but most days I feel accomplished if the kids are fed, I'm still sane and I managed a couple of great photos (kidding...not kidding) Good luck in this new year!